Prague Castle is the place to be to see a Changing the Guard ceremony in Czech. Changing the Guard takes place in the first courtyard of Prague Castle at 12:00 daily. This is the formal handover carried out with a fanfare and banner exchange. The sentries at the gates of the medieval castle are changed every hour from 07:00hrs. Have You Visited Changing the Guard at Prague Castle? If you have visited Changing the Guard at Prague Castle, and would like to share information or pictures with us about the ceremony please get in touch. 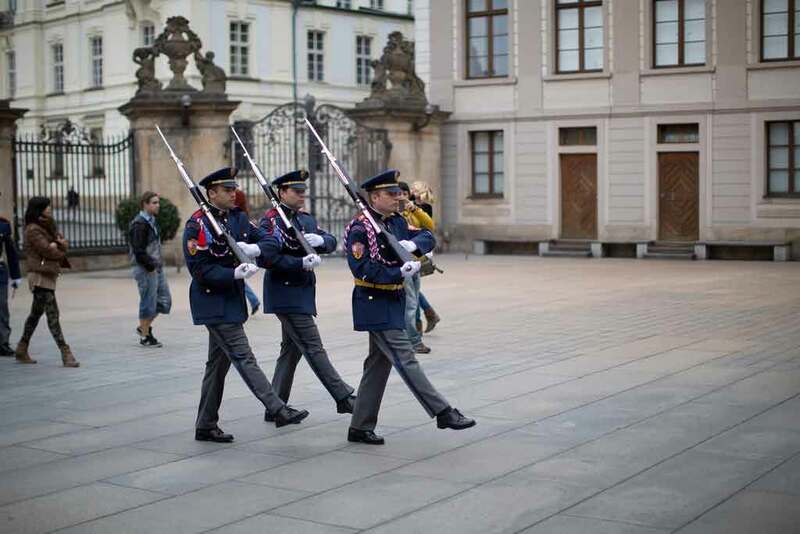 The Guard is composed of a brigade of the Armed Forces of the Czech Republic who serve the President of the Czech Republic as a security force who also provide honour guards and take part in ceremonial functions.